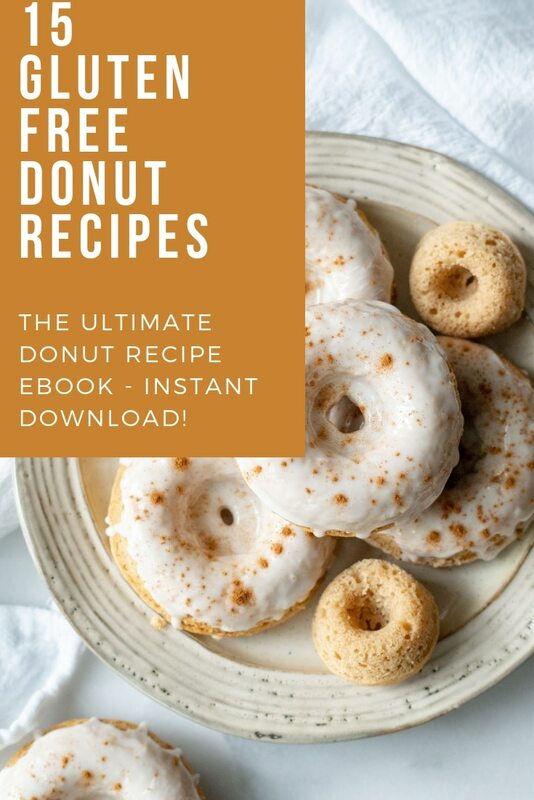 Whether you are just starting a gluten-free lifestyle or you’ve been baking gluten-free for a while, there are certain staple gluten-free ingredients you are going to want to keep on hand for baking. 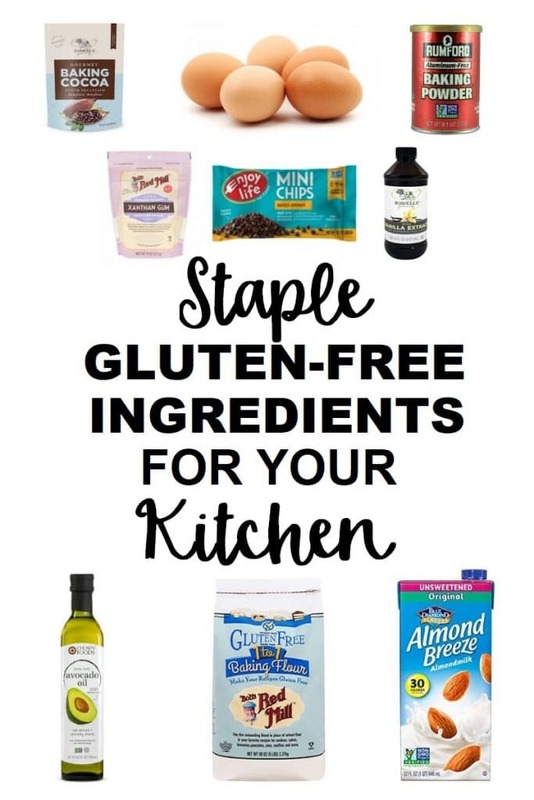 This list includes staple gluten-free ingredients that we keep in our kitchen for baking. If you think I am missing an important ingredient, please let me know in the comments below and I will get it added. 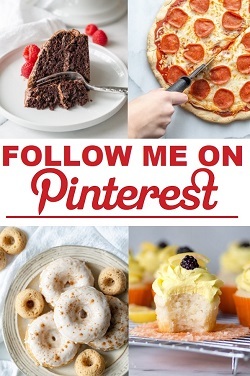 Don’t forget to check out my Gluten-Free Baking Basics for tips before you start baking. Disclaimer: This post contains affiliate links. If you purchase something from one of the links it doesn’t cost you anything extra. Here are some of the standard ingredients you are going to want to keep on hand for baking gluten-free. Sugar and Brown Sugar – Many of my recipes use sugar or brown sugar. These are standard baking ingredients found in most kitchens. 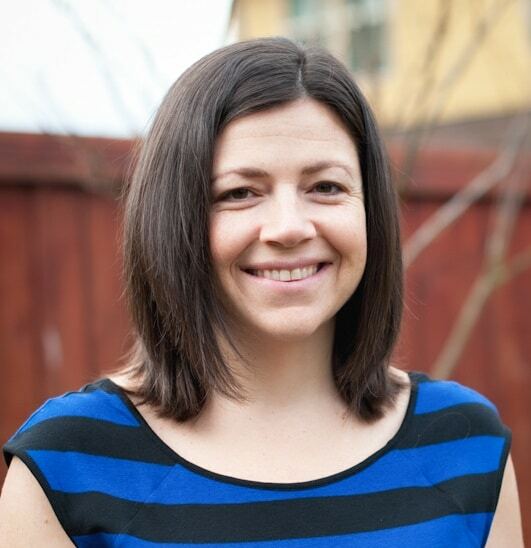 Honey – I use honey in some of my paleo recipes. Maple Syrup – I use this in my paleo and grain-free recipes when I want a more milk flavor. Coconut Sugar – I love using coconut sugar in place of sugar in some of my recipes. Baking Powder – Make sure to use a gluten-free baking powder. I use Rumford Aluminum Free baking powder. Baking Soda – You can use any brand of baking soda. Just make sure to check expiration dates before using. Salt – I use regular sea salt. Chocolate Chips – My favorite allergy free brand is Enjoy Life Foods. I’ve also used Nestle, Guittard and Hershey’s. Cocoa – I prefer Rodelle Dutch Processed Cocoa but Hershey’s is good too. Vanilla – I prefer to use Rodelle Vanilla, but you can use any gluten-free vanilla extract. Oil – I cook and bake with Avocado Oil, Olive Oil, Canola Oil, and Coconut Oil. Eggs – If you can eat eggs then I would recommend keeping them on hand for baking and cooking. Milk or Dairy-Free Milk – If you can’t have dairy then I recommend Almond Milk, Coconut Milk, and Flaxseed Milk for baking and cooking. Xanthan Gum – Although my flour blend does not include xanthan gum in it, I like to keep it on hand for high fat recipes and for making bread. 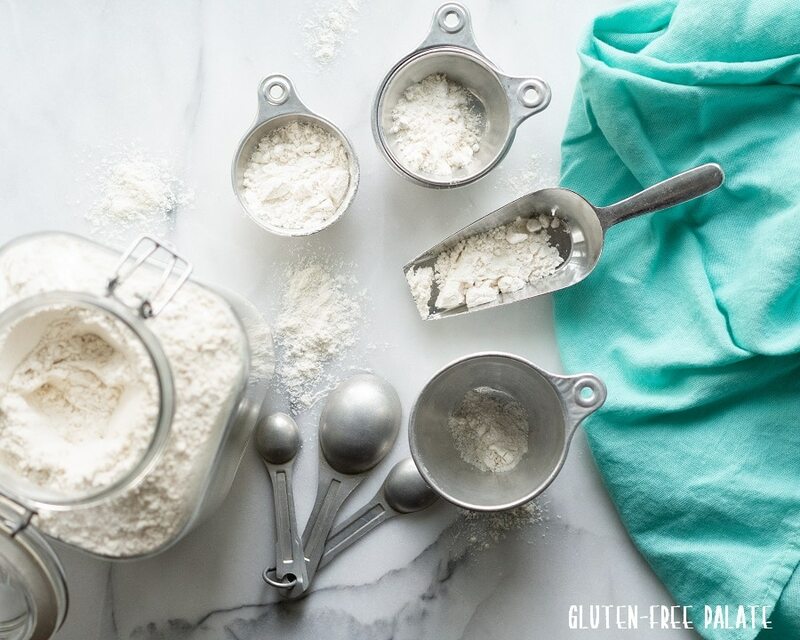 Keeping a gluten-free flour blend on hand to bake and cook with is essential. I wrote a post on the best gluten-free flour blend recipes. It includes a blend for everyone. If you are not a fan of mixing up your own gluten-free flour blend I have a few that I recommend. gfJules All Purpose Gluten-Free Flour – Everyone that has tried gfJules flour has raved about it. I find it works in most of my recipes (not the pancakes and waffles, but check out her mixes for that). Bob’s Red Mill 1-to-1 Gluten-Free Baking Flour – I find this blend to be the best cup for cup flour blend. It has worked in every recipe I have tried. It does contain xanthan gum but it doesn’t contain any dairy (dry milk powder). Ryze Gluten-Free Flour – This flour is 100% rice flour. They mix different ground-sizes of rice flour to make a “blend”. We really like Ryze and it works for people who can’t do other flours or have nightshades. Almond Flour – We make a lot of Grain-Free and Paleo Recipes. I don’t have any coconut flour recipes – we tend to stick to almond flour when baking grain-free and paleo. Tapioca Flour – We use tapioca to make Brazilian cheese bites and to mix our own flour blend. White Rice Flour – We use Bob’s Red Mill white rice flour to mix our own flour blend. Potato Starch (not flour) – We use Bob’s Red Mill Potato Starch to mix our own flour blend. Cornstarch – I use cornstarch in some of my recipes and to thicken sauces and gravies. Flaxseed – You can use flaxseed in your baked goods for an extra bit of fiber or make flaxeggs (1 Tablespoon flaxseed meal + 3 Tablespoons water) for an egg substitution. These are just a few gluten-free ingredients that we always have in our pantry or refrigerator. 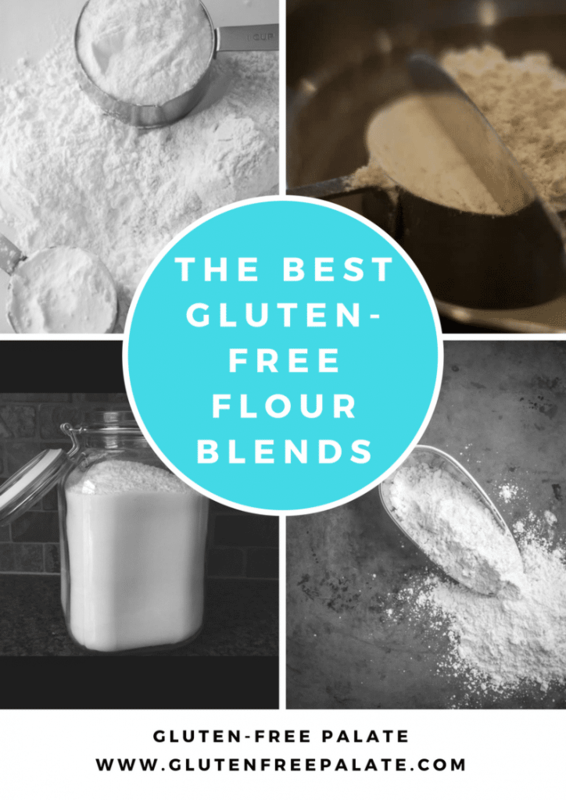 Don’t forget to check out my guide to the best gluten-free flour blend recipes.